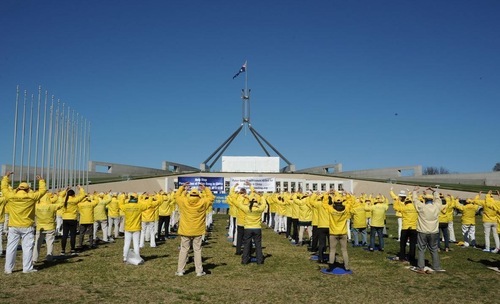 Falun Gong practitioners are marking ten years since China banned the spiritual and exercise movement as a national security threat, in the wake of a mass demonstration by adherents in Beijing in April of 1999. Thousands have since been detained, tortured and killed. 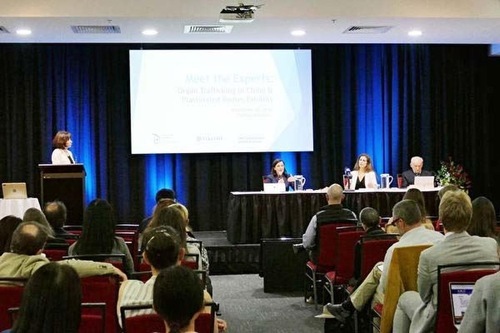 Advocates say the bodies of dead Falun Gong practitioners remain the key source of organs for the booming domestic trade in illegal transplants. Statement on behalf of the Falun Dafa Associations of NSW, Victoria and Queensland. Falun Gong practitioners will not be protesting on the Olympic Torch route in Canberra on 24 April. 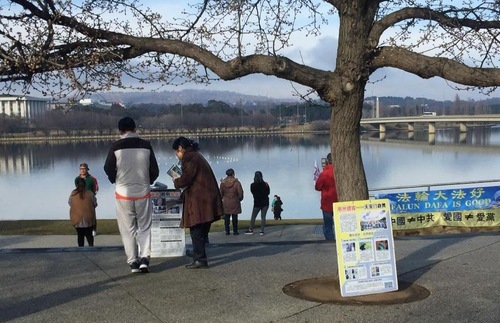 Falun Gong and other groups have a regular presence outside the Chinese embassy in Canberra, where they protest against Beijing’s alleged human rights abuses.